At McCoy, we strive to ensure our activities and programming meet provide a well-rounded approach to our clients' wellness. Each week, we plan a variety of activities to appeal to all our clients. 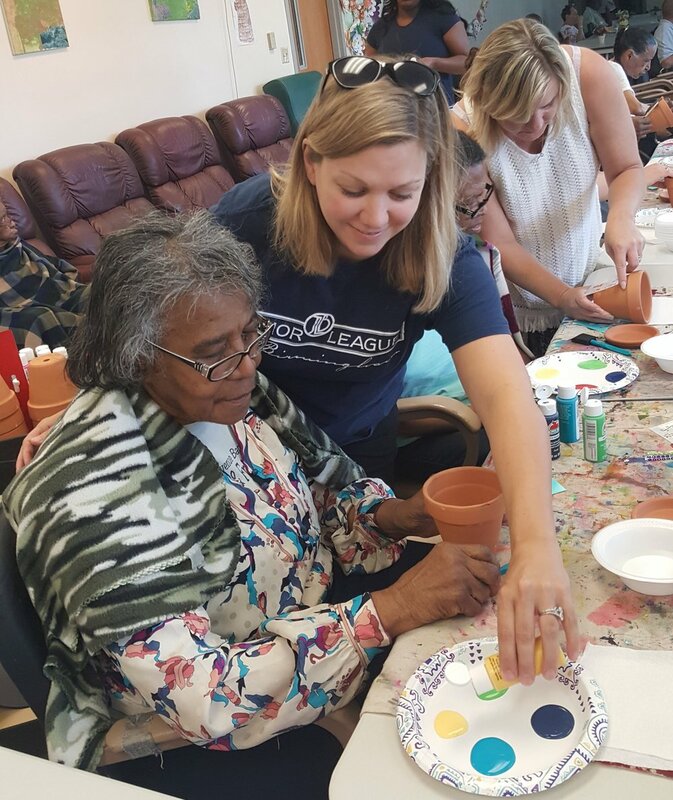 We include arts and crafts, exercise, Bible study and devotionals, and several therapeutic activities - music, art, and drum therapy. 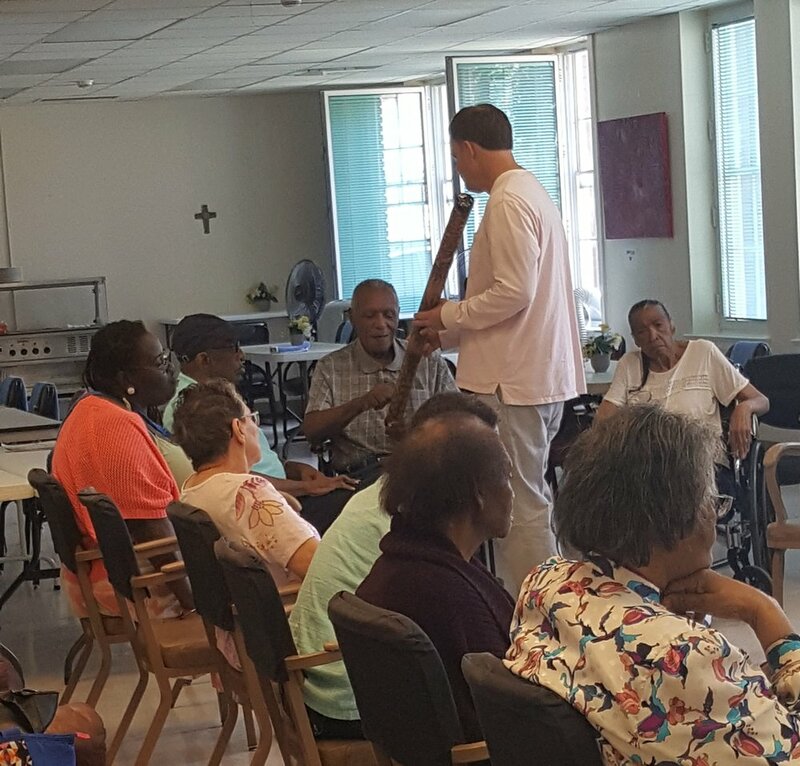 Walker Wright, our drum therapist, showing clients how to play the rainmaker. Members of the Junior League of Birmingham enjoying an afternoon of painting with our clients. Click the Facebook icon to check out more pictures and activities on our Facebook page!